What the %&@# does that mean? They said this %-( was "Confused,"actually that emoticon means "Bad Eye Surgery"
And this :-X isn't "Kiss On the Lips" but "Hannibal Lector Smile." They also said this :*) was "Drunk Smile." It actually means "Idiot Is Smiling and Has No Idea He Has a Booger On His Cheek Smile"
Your turn. 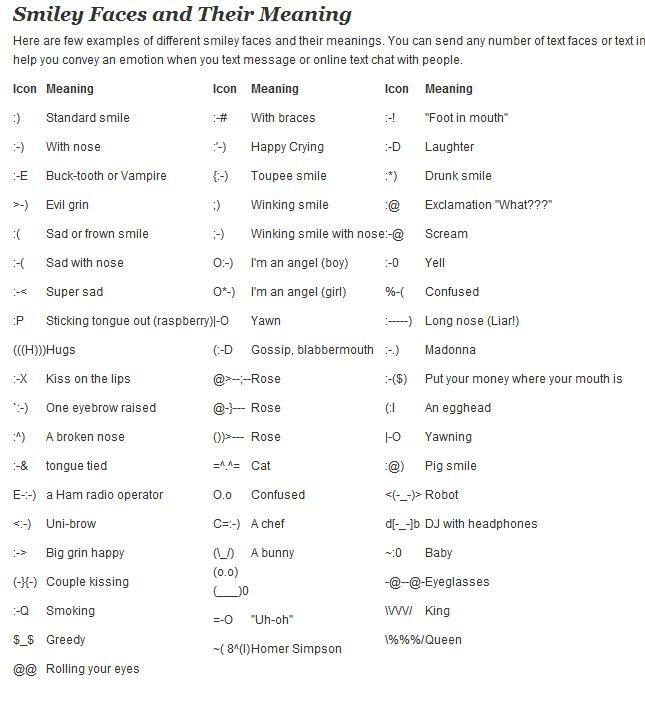 What's your favorite emoticon? Holy moly! When did there become so many ways to make different emoticons? I stick to the standard smiley and winking emoticons. How boring of me! I had no idea. These are hilarious--love the soul patch one! Laura - And you're a young woman to be so surprised, makes me feel better. Nicole - You crack me up...YOu had to come back and show me the "big ones" love it. Ara - the middle finger TOTALLY going to use that one. very creative.